Here is a sling you need not sew or buy. No rings, straps or other fasteners. Just a long piece of cloth and a square knot that you tie yourself. A dupatta, lungi, or shawl, should do, or you can cut a sari in half. Two metres or so is enough to tie around yourself comfortably. 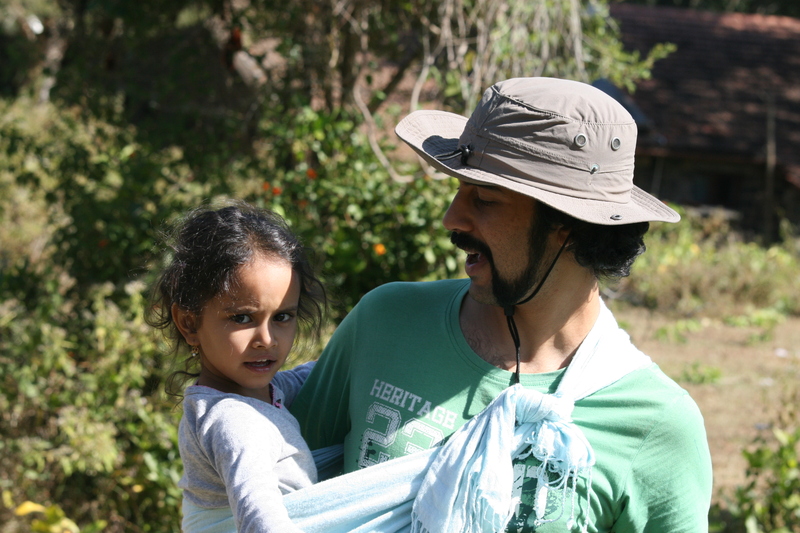 It’s so simple … just go to any rural, especially hilly region in India and you will see many people wearing their babies with just this type of sling. It in the city too, usually among mendicants and migrant workers. Whether it is the Rebozo in Mexico, the Khanga in Africa, it is simply a piece of cloth used for multiple purposes, including baby wearing. Our urban brothers and sisters have also discovered it, to their delight. 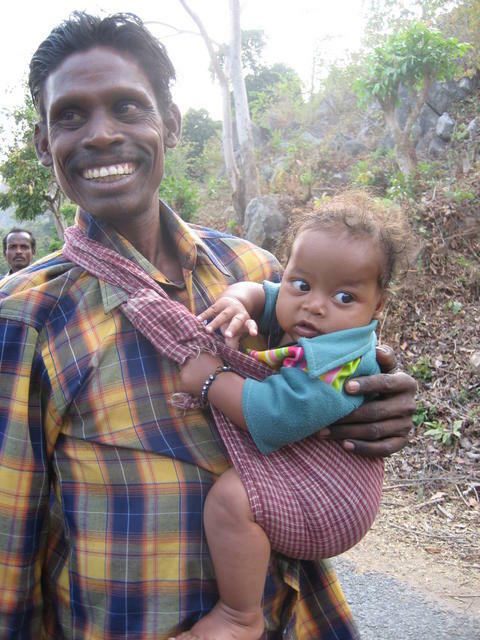 Father carries baby in sling while walking home from the market in rural Orissa. 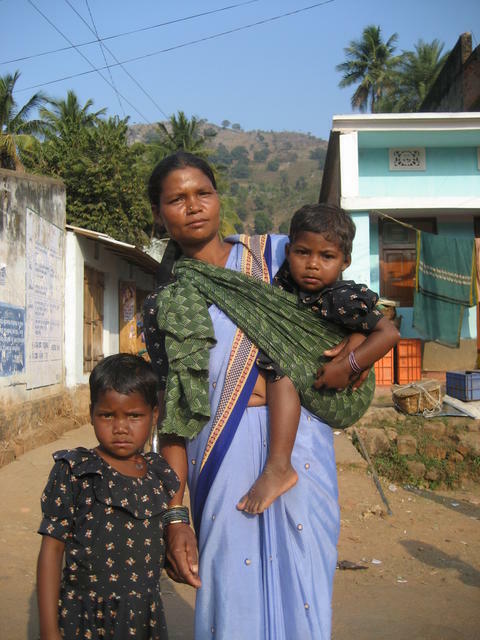 Mother carries younger child in sling while older child walks with her. I wanted to share with all you wonderful parents our recent experience with child-wearing. D (3 yrs and 10 months) has been asking us to carry her where ever we go and it can get quite tiring having to do that and walk about. Recently on a holiday, I just took my shawl and tied it to form a sling. 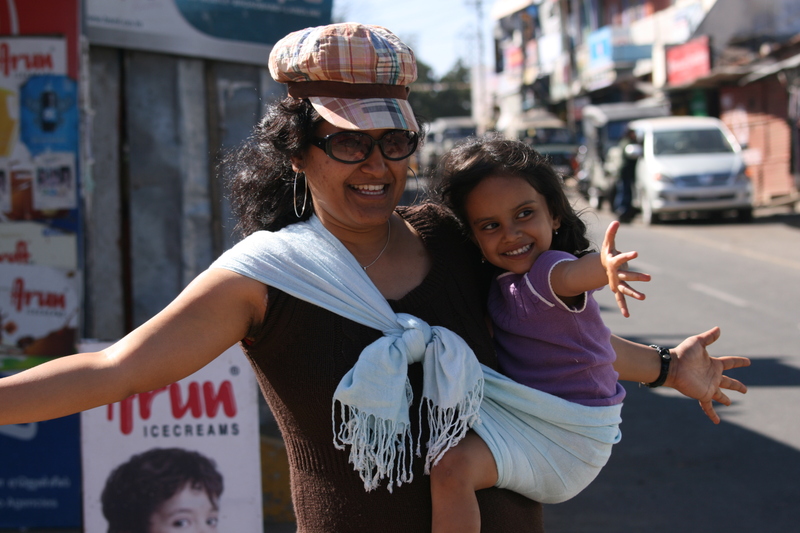 And it was so much fun for D to be in a sling and made us enjoy the walks around the place even more than we would have, without either Karthik or me feeling tired. So there you have it folks – for urban and rural alike, fits every budget. Thanks to the fantastic models for featuring in this free advertisement for my favorite kind of product of all, the one you don’t buy!